A perfectly good look ruined by a tacky shade of lipstick? I’ve seen that happen way too many times! Even if you used the right shade, you might not end up with the best of results. 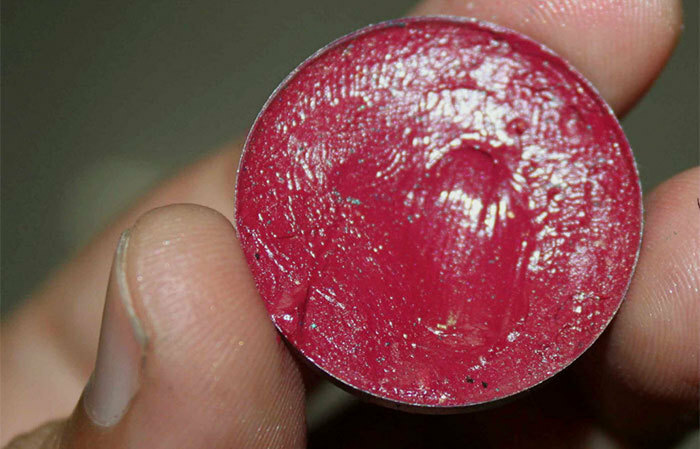 With an amateur application style, we often find our lipsticks smearing, caking, flaking off or even vanishing completely. How To Apply Lipstick Like A Pro? To get that perfect pro look, let’s master the art of applying lipstick perfectly so that your lipstick stays put and looks gorgeous. But, Before we dive right into the tutorial, we’ll need to take a look at the stuff you need to achieve those perfect lips. Without further ado, let’s get into the tutorial! Always start with prepping your lips. Apply a lip balm/lip conditioner to make the lips soft and supple. Then, apply a lip primer as that would make the lip color stay on longer and won’t let the color bleed. It is important to even out your lips before applying the lip color. Choose a concealer of the shade that matches your lip color, and then apply it with a small fluffy or flat brush. Apply compact powder over it to seal the powder. This technique also makes the lip color stay longer. 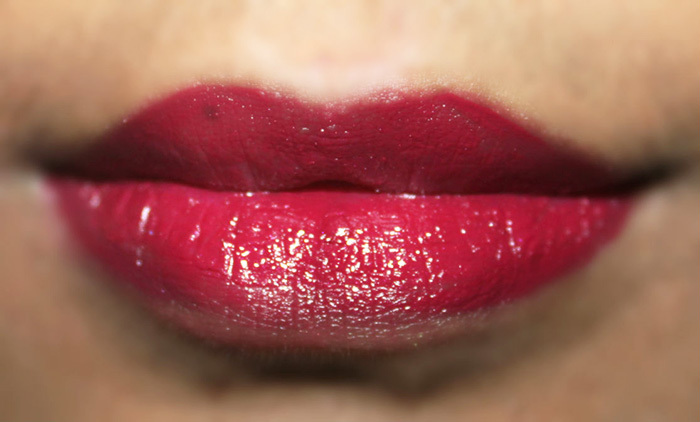 Ensure that you line your lips with a color that matches/compliments your lipstick to prevent feathering. Apply it properly from one corner to the other on both the upper and lower lips, drawing the line along the outline of your lips. 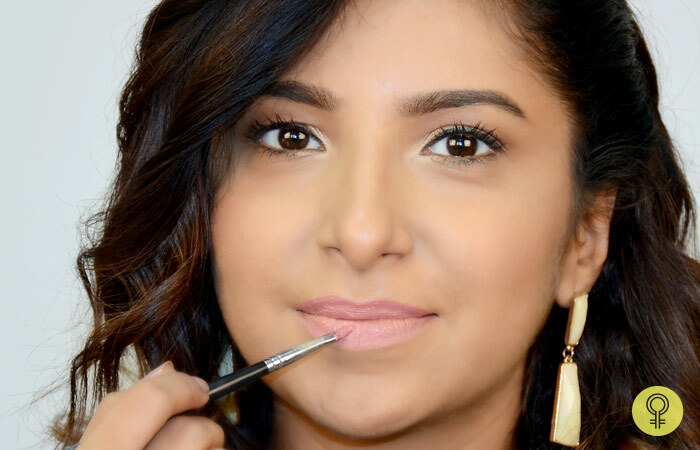 Once you are done lining the lips, fill the entire lip area with the same pencil. This would hold the color of your lipstick intact, and it will stay put for a longer time. 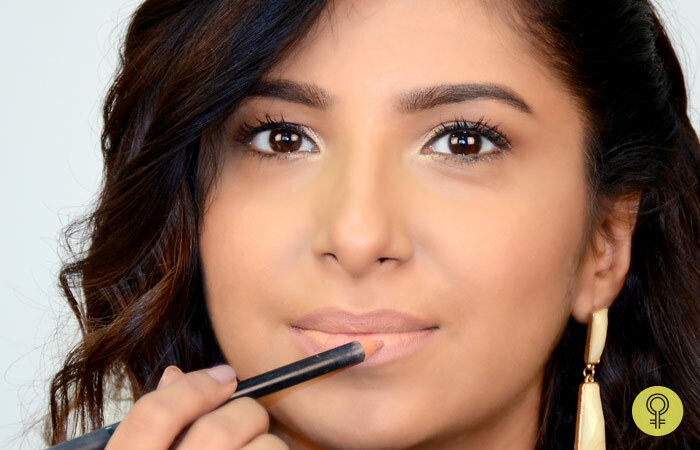 Once you are done applying the lip pencil, pick up the product onto the lip brush from the lipstick of your choice. Apply it evenly over the lips. Start from the center of the lip and move it onto the outer corners. Repeat the same procedure for the lower lip. Ensure you apply it within the outlines of the lip pencil. Go coat by coat and intensify the lip color as and how you want it to look. If you think that you aren’t very good at using a lip brush to apply the color, you can directly use the lipstick for the application, as shown in the picture. It is very important to make the lips look more defined, and, for that, use a concealer on a small flat brush and work on the edges of the lips as shown in the picture. Blend the concealer gently, making it disappear into the skin. 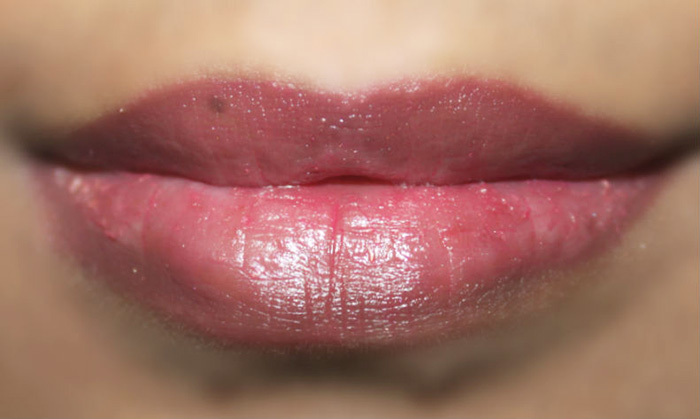 This way you can also correct the shape of your lips, as well as make them look more defined and perfectly done. Finish the look by adding a hint of lip gloss for a glam look; or else, just keep it simple for a day wear. 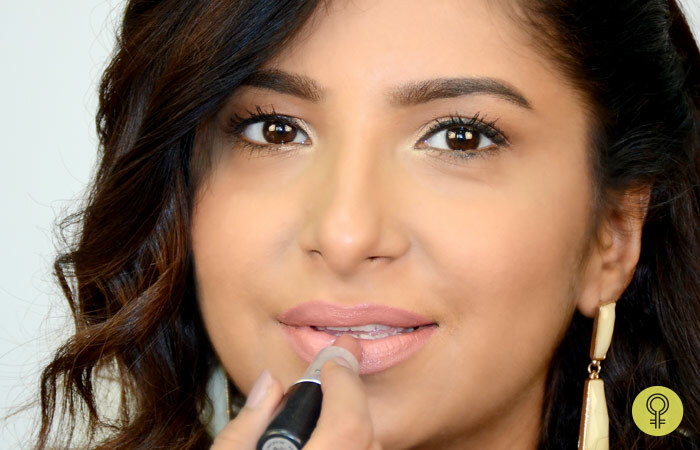 Here are a few tips to help you apply lipstick like a total pro. To turn a glossy finish lip color into a matte finish, dust on some translucent loose powder on the lips and let it rest for few seconds. Dab them with a flat or a fluffy brush to even the powder out. If you wish to soften the hard lines formed by the lip liner, use your fingers or a Q-tip and blend the edges. To make your lip color last through the day, apply the lipstick and cover the lips with a tissue paper and dust some translucent powder over it. This ensures that your lipstick stays put for longer. 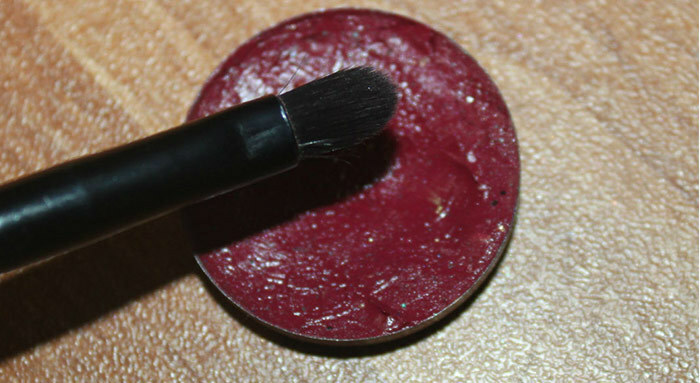 While applying the lipstick with a brush, use an angular brush. This helps in providing a defined look. If you wish to follow the pastel lip trend and do not want to shell out any more money on buying them, you can make your own pastel color (DIY). Use a white pencil all over the lips and pat any of your favorite lip color onto the lips. There you go! 3 Surprising Ways To Use The Lipstick! Bored of wearing the same lip colors? Wish to try something unique, but not interested in splurging money? Then, you are going to love today’s makeup tutorial! 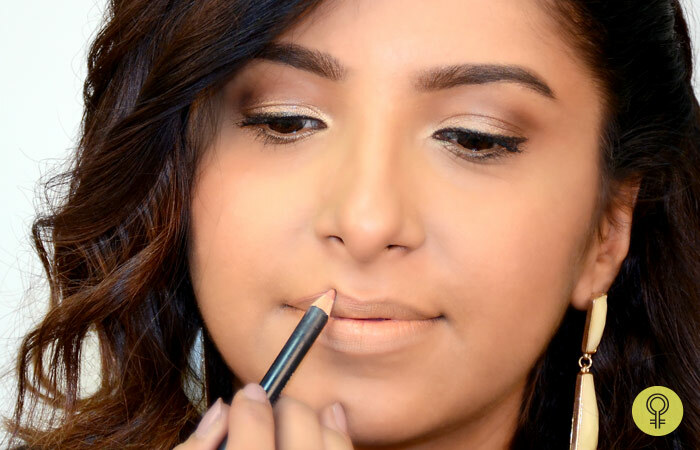 Yes, we have created a makeup tutorial on how to use the same lipstick in 3 different ways! You read that right! 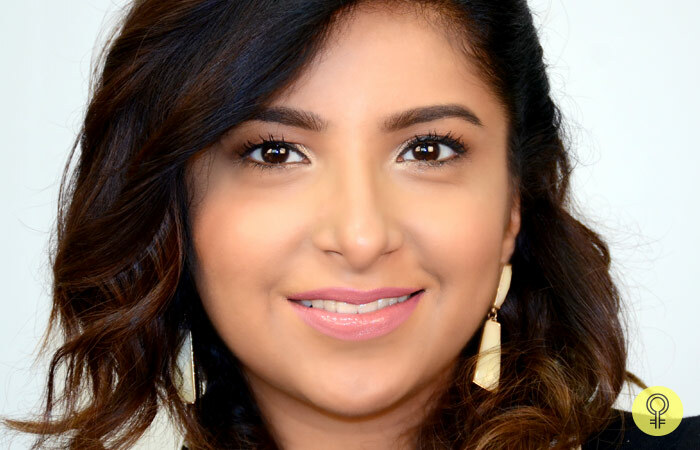 Three different looks with one single lipstick—now you can use your favorite lip color to create a day look, an evening party look, or even a look perfect for a glam event! 1. How To Use Lipstick As A Lip Tint? Lip tints are a softer version of the same bright and bold lipstick color. They are subtle and perfect for everyday wear. Apply your favorite foundation and set it with compact to create a flawless makeup base. If you have hyper pigmentation around the mouth area, you should use a darker concealer. It will conceal all your imperfections to make your lips stand out. Then, apply your favorite lip balm and moisturize your lips. Moisturizing the lips is a must prior to the lip makeup. It helps to create an even and neat finish for the lipstick. Pick a dark berry lip color and use your finger to take the product out for application. Gently use a very light hand to take out the product as we would want only a soft tint of the color on our lips. 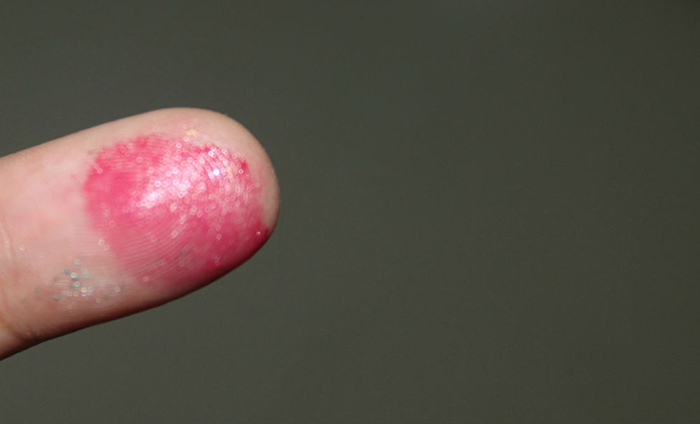 Then, pat the lipstick all over your lips with your finger. That’s it! There, you have a soft pink tint from a dark berry toned lipstick. Lip tints do not provide full coverage for your lip pigmentation or add a strong pop of color. It adds a subtle color to your lips, perfect for everyday wear such as for office or shopping! Lip stains are stronger variations of lip tints. They last longer than lip tints and provide a slightly stronger color to your lips. Take the same berry lipstick in a thin lip brush. 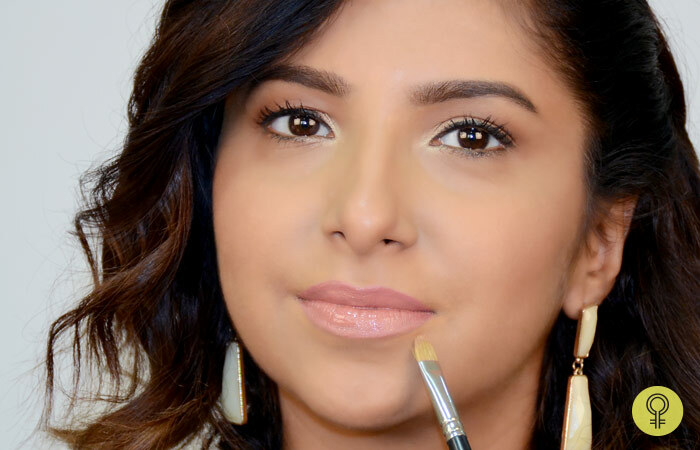 If you don’t have a lip brush, you can also use a thin, medium eyeshadow brush for this step. Layer the color all over your lips. Start by applying a first coat, then apply another coat to achieve a uniform and neat lipstick finish. 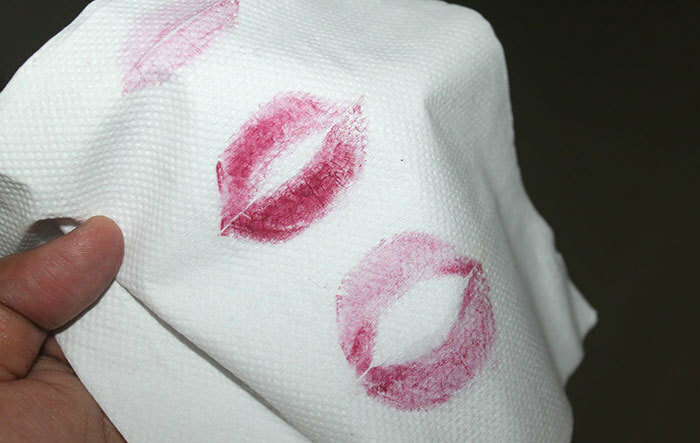 Then take a tissue paper and blot your lipstick at least once or twice. This step will increase the longevity of the color as well as add more vibrancy to the tint. If you want a stronger color stain, then blot it only once. For lighter stain lips you can blot twice or thrice. 3. How To Use Lipstick As A Lip Gloss? 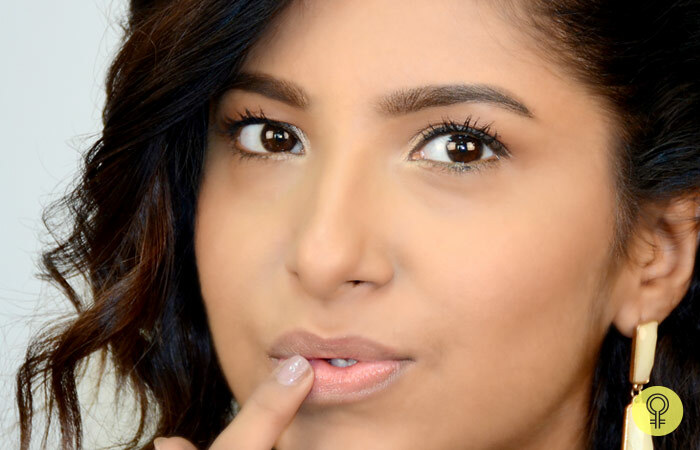 The lip gloss way is the simplest trick in a makeup lover’s arsenal. It is a hot favorite amongst models, makeup artists and every girl next door. It instantly adds freshness and volume to your lips. It also tones down the color if you are going for a softer look. Layer the color all over your lips. Start by applying a first coat, then apply another coat to achieve uniform and neat lipstick finish. Pick a soft mauve or berry toned lip gloss and apply it all over your lips to create a glossy effect. 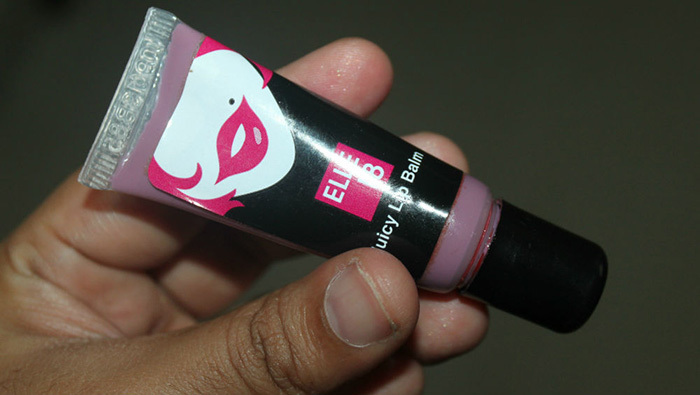 If you wish to add a plump effect to your lips then apply the lip gloss only to the center of your lower lip area. That’s it! You are ready to rock no matter the time of day or occasion! 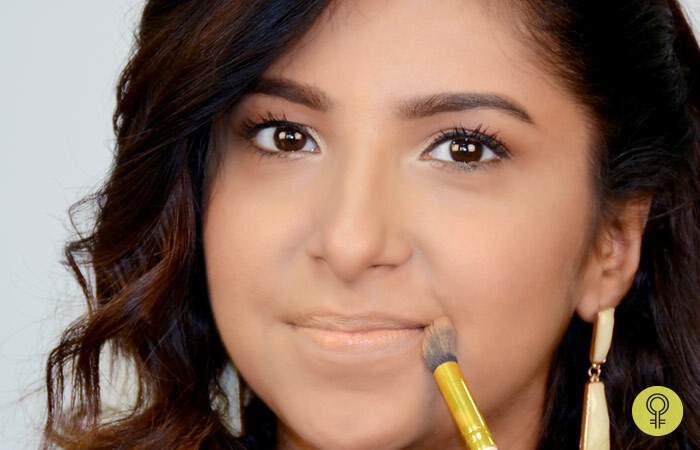 And you don’t need an elaborate makeup plan to get these looks right either! Simple yet effective—try these tips and don’t forget to share your experience with us in the comments section below. Next articleHow To Get Perfect Arched Eyebrows?